Hello! Here’s a card I made for a dear friend who loves yoga. And I didn’t realize that she likes frogs too…win! 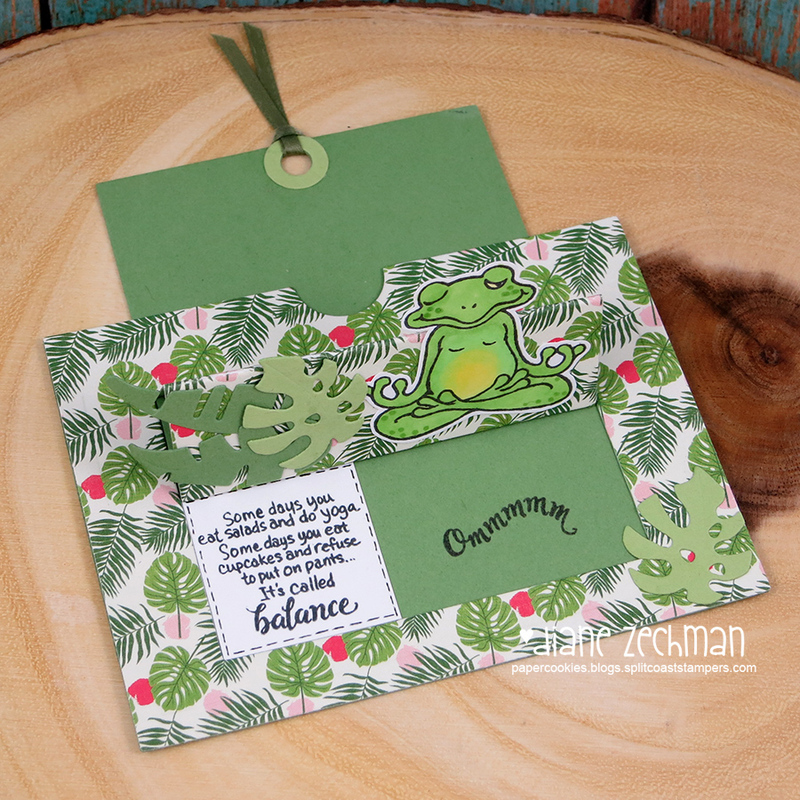 Good thing there’s more frogs and cute sentiments in this set! 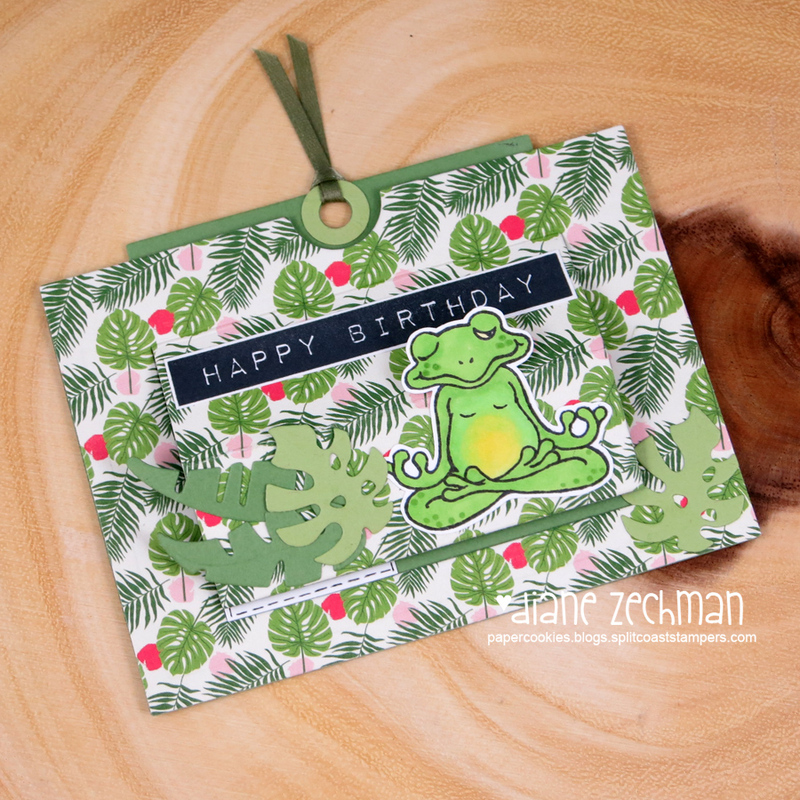 I used the Stampendous Frog Yoga and the Sizzix Tropicool Slider Card dies to make this interactive card. The happy birthday words are Altenew’s Label Love. What a fun set! Have a great day! 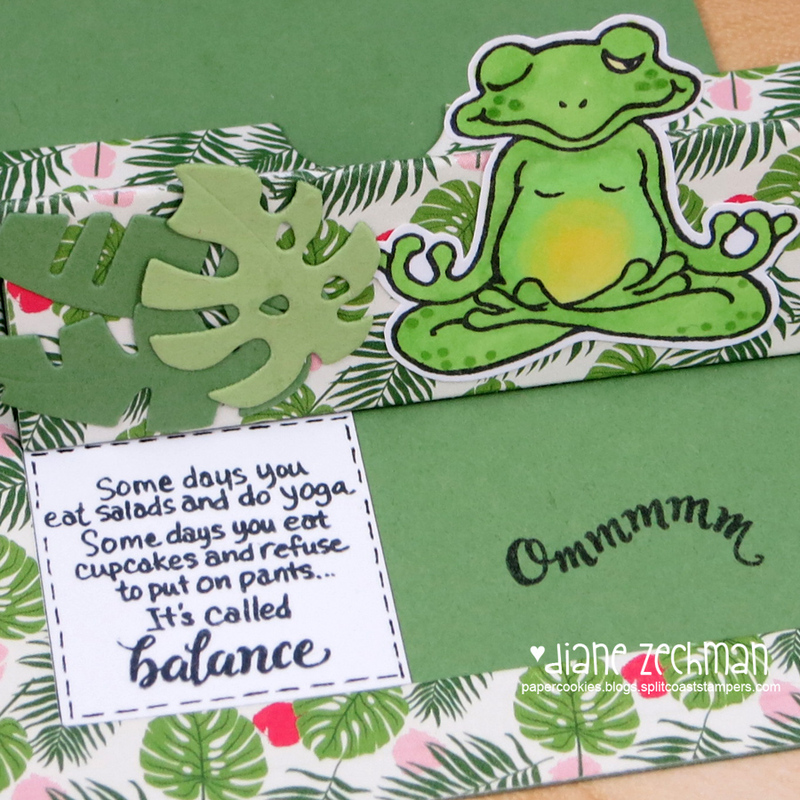 stamps- Stampendous Frog Yoga and Altenew Label Love; paper- white, SU! Pear Pizzazz and Wild Wasabi, Echo Park Summer Fun; ink- Memento Tuxedo Black; accessories- Copics, Sizzix Tropicool Slider Card dies. This entry was posted in cards, etc., Sizzix. Bookmark the permalink.